Your kitchen has served you well for many years, but now it’s falling apart. The countertops are cracked and broken. The cabinet doors are falling off their hinges. The flooring has large chunks missing. You’re in desperate need of a remodel. But it’s no easy task. How do you design a kitchen that’s both aesthetic and functional, while being easy to care for, and able to last a long time? There are a number of factors to keep in mind, but here are a few kitchen remodeling trends to get you started. Lighter colors are in right now, particularly whites and greys. They’re cool and inviting, while being neutral enough to blend with any decorative style. White cabinets and grey countertops make a great combination. Throw in a light colored wood for the flooring, such as blonde or pecan, and you’ve got a great start to your décor. Lighter colors make the room feel brighter, as well as bigger. But that doesn’t mean you can’t have some bolder colors as well. Throw in a few accents to make the room pop. Add a splash of darker color, like black, dark blue, or purple, for things like tablecloths or light switch plates. They can add a whole new level to your kitchen aesthetic. When it comes to countertops, quartz is in. It’s more versatile in terms of color and style than marble or granite, particularly if you’re going for lighter, more neutral colors, as discussed above. Quartz also doesn’t damage as easily, and doesn’t require as much maintenance. It’s stain-resistant and easy to keep clean. It can be a bit on the expensive side, but when you consider how long it will last you, it’s well worth the price. As far as flooring materials, hardwood has long been the most popular choice, but ceramic tile is giving it a run for its money. It’s more versatile in terms of aesthetics than hardwood, and can even be made to look just like a wood floor. But ceramic is easier to keep clean and less likely to sustain damage. Over time, your kitchen tends to accumulate a lot of bric-a-brac: three or four full sets of dishes, pots and pans of every conceivable size, a myriad of cookbooks, and more storage containers than you even knew existed—not to mention a cornucopia of spices, extracts, and other essential cooking ingredients. The trick is to have all of these items on hand for easy access when you need them, but keep them out of the way the rest of the time, so that you have enough space in your kitchen to use it freely. Therefore, maximizing storage space is paramount when it comes to kitchen trends. Instead of a few upper cabinets crammed full of various containers, try open shelving. A few shelves can extend across an entire wall of your kitchen, allowing you to store more, while keeping it all in plain sight and easy to lay your hands on. You can also add a few open hooks for your spoons, spatulae, coffee mugs, etc. A kitchen island is another important option. The countertop provides you a place to do food prep, while underneath you can store all of your bowls, pans, and other utensils. As long as you’re giving your kitchen an upgrade, you might think about adding a few tech improvements that will make your life easier, saving you both time and money. A smart fridge, for example, can let you know when you’re running low on a particular item and add it to a digital shopping list that you can consult on your smartphone while at the store, making sure you never forget to buy something again. Automatic light and faucet sensors can help you save energy, shutting off automatically when you’re not using them. You can also control your lights remotely if you prefer, from an app on your smartphone. There’s even a device that will let you know whether or not your eggs are still good, or if it’s time to throw them out. These are just a few of the remodeling trends that can make your kitchen a better place, both functionally and aesthetically. 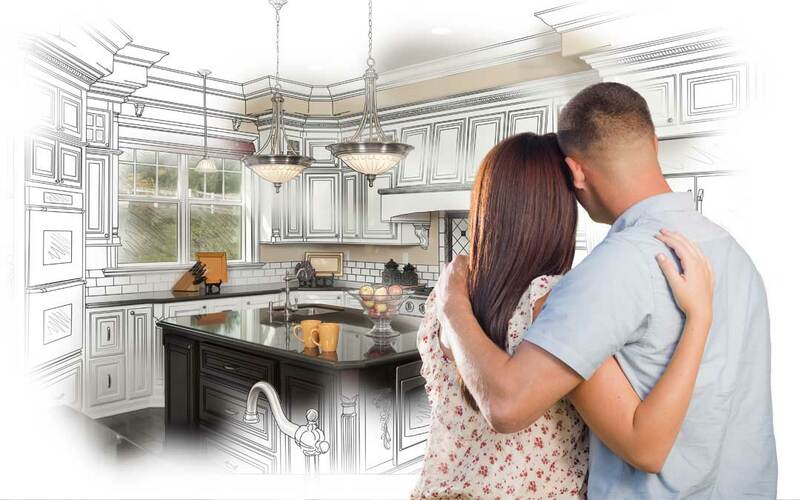 In looking at your own kitchen remodeling options, make a list of the problems you currently have in your current kitchen that you’d like to address, as well as some of the features and functions you think would be beneficial to you. Then, take them to a contractor who can help you design the perfect kitchen for you. With a little research, a little planning, and a little ingenuity, you can create a kitchen remodel that will stand you in good stead for many years to come.